The current Nevada State Assemblyman for District 12, James Ohrenschall is a respected public servant. 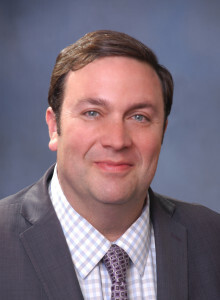 Known for his commitment to civil rights, some of Ohrenschall’s greatest achievements in the Nevada Assembly have been sponsoring legislation mandating that medical insurance must provide coverage for children with autism as well as sponsoring legislation that helps patients to learn about their risk for breast cancer, increasing their chances of survival. Ohrenschall has chaired the Assembly standing committees on Legislative Operations and Elections and Corrections, Parole and Probation. During legislative interim periods, he has chaired interim committees dealing with promoting more recycling and more efficiency in prison industries. During the 2013-2014 interim period, Ohrenschall chaired the Interim Nevada Legislative Committee on Child Welfare and Juvenile Justice’s Task Force to Study Juvenile Justice Issues. Assemblyman Ohrenschall is a native Nevadan and Las Vegan. He attended local schools, including John S. Park Elementary School, John C. Fremont Junior High School and Chaparral High School. After graduating high school, Ohrenschall earned his B.A. in Economics from the UNLV College of Business and his J.D. from the UNLV William S. Boyd School of Law. He has been practicing law in Nevada since 2010. Today, Ohrenschall is a Deputy Public Defender in Juvenile Court where he represents children who are often facing great instability in their lives and in many instances have been the victims of abuse and neglect. The Assemblyman and his wife live on Sunrise Mountain where they are raising their kids.